20/06/2011 – Mr Crum London BN1 – “I was very pleased with the company’s work to replace my central heating boiler. The whole experience was good, from Mr Dunkerton’s knowledgeable assessment of the work to be done, to the fully costed and written (emailed) quote, to having the work carried out. I’m delighted to have found a plumber - having been through a lot of dodgy ones - who inspires confidence, turns up on time and can give you a decent price too”. Copyright © 2019. I.M. 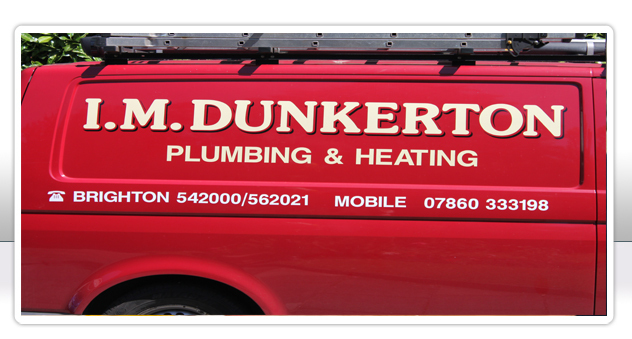 DUNKERTON PLUMBING & HEATING . All rights reserved.